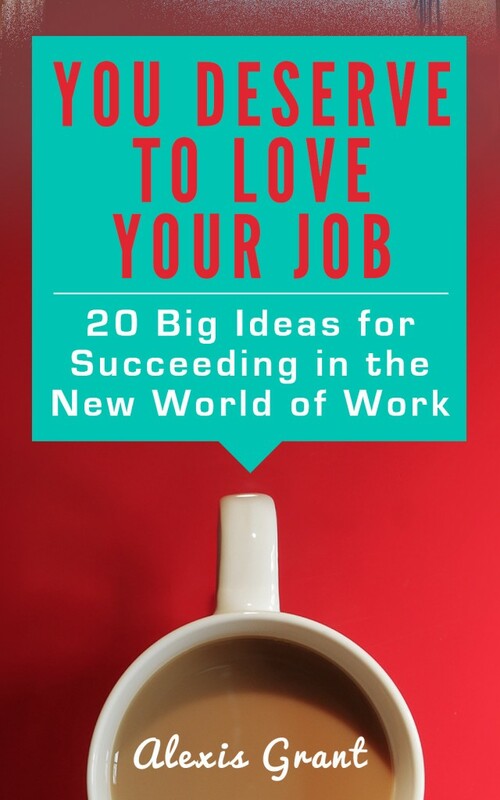 Thanks to everyone who helped spread the word about the launch of my first Kindle book on, You Deserve to Love Your Job! And a special thanks to those of you who left Amazon reviews — that’s what will help this book continue to succeed. Because I shared behind-the-scenes details about the creation process and the launch, today I’m going to close that loop and tell you how the launch turned out. My sister asked whether I had any expectations for launch day, and the truth is, I wasn’t sure what to expect. This is my first ebook on Kindle, and Amazon is a totally different ballgame than selling ebooks on my own site. Yet I was over-the-moon happy with how the launch turned out. By the end of the day, we’d sold about 120 copies, which was enough to push You Deserve to Love Your Job to an Amazon sales rank of #1,480. We also got about a dozen five-star reviews. And best of all, we ranked as No. 1 best-sellers for career guides on Kindle and job-hunting books on Kindle! While I’m proud of the book and how we executed this launch, that “best-seller” label made me feel just a little bit jaded. Now I understand why we see the term “best-selling author” EVERYWHERE — because it’s not all that difficult to accomplish on Amazon. Getting on Amazon’s top 10 list is one thing, but you can see here we ranked No. 1 in a category even while the book was #1,480 on the overall list. Kind of waters down the accomplishment, right? 1. It’s a good book. You can tell from the five-star Amazon reviews that readers thought it was valuable. I’m most proud of how many readers said it motivated them to do things differently, which was my overall goal. This is a lot of little pieces, but it all adds up to big traction. It’s also important to note that the success of many of these components relied on years of hard work building my brand and network. Content may be king, but promotion is how you get people to read that content. (Click here to tweet this idea.) A lot of writers hate marketing themselves and their work, but if you don’t put the time into letting people know about the book, no one will read it. It’s really that simple. What about your bottom line? So we had a successful launch! Does that mean we made a lot of money? We can do the math. When you sell your book for less than $2.99 on Kindle Direct Publishing (KDP) Select, you keep 35 percent. So 120 books x $1 = $120 x .35 = $42. Yup, we earned only $42 on launch day. Pretty insane, right? It’s even more insane when you’re used to selling ebooks and courses on your own site at a much higher price point and keeping all the profit. That $42 we made on launch day is equivalent to selling just ONE of my social media guides. Now the ebook is selling for $4.99 and we get to keep 70 percent, which works out to $3.50 per sale. But you still have to move hundreds of ebooks to see a paycheck that covers the sweat you put into the project. But you know what? I still consider this launch to be a huge success. Why? Because my goal here wasn’t immediate revenue. The goal is to help people approach work differently. And just think: after only one day of sales, 120 people might now feel motivated to make a change so they feel happier with their jobs. I’m also using this ebook to build my brand and reach new eyes, people who don’t already read this blog. And down the line, once I have a handful of Kindle books that can feed off one another, that’s when Amazon might become a significant form of revenue. Know who does this well, who has enough traction on Amazon to make a real income? Steve Scott. We chatted via Skype this week, and I asked him how many ebooks he has on virtual shelves. I nearly choked when he answered: 39. THIRTY-NINE! Amazing. Now that’s how to succeed on Kindle. Of course, since I’m running a client-facing business, growing The Write Life community and spreading myself thin learning a million things working on several other projects, there’s no way I’m going to release anywhere close to that many ebooks. But the lesson here is you can make a living off Kindle books alone. In fact, Steve’s approach is so interesting that I’m keen to have him on The Write Life for an interview over the next few months… so keep an eye out for that. Thanks again for all your support! If you have any questions, I’m happy to answer in the comments. Lots of fiction writers reel in readers with series, often by pricing their first book lower, then subsequent books higher. It’d interesting to see if that could be translated to the business realm too. Congrats on a great launch. I know that it seems like being a best-seller doesn’t say much, but even if you aren’t in the top 10, you still had to produce great content and get people to buy it, which isn’t so easy as you’ve shared. Thanks for sharing the details of where and how you promoted. Promotion is key and I’m still in the learning phases. So happy your book did well. I’m really enjoying it. Thanks for the insider scoop, Alexis. I always love these kinds of posts. I’m not anywhere near publishing a book yet, but found the 70% figure (your take) very interesting. Thanks Alexis for the interesting post. I just finished my book and I’m contemplating self publishing. Seems like the hardest part is deciding to do it. Appreciated your honesty. Congrats on your launch.